Our readings make us wonder: Why does God pick the unworthy to do His work in the world? St. Luke tells us that one day, Jesus was teaching an enormous crowd of people by “the Lake of Gennasaret,” also called the Sea of Galilee. He saw two empty boats, and He decided that it would be easier to address the people from one of them, if it were “put out a short distance from the shore.” He chose the boat that belonged to Simon, one the fishermen who were cleaning their nets. Simon and his partners, James and John, had to be impressed by the effect Jesus had on all these people, drawing them to Himself in droves. Surely they listened to what the Teacher had to say as they worked on their nets. Could Simon have imagined that when Jesus was done speaking to the crowd, He would speak to him? “Put out into deep water and lower your nets for a catch.” Simon’s response to this surprising directive was quite restrained: “Master, we have worked hard all night and have caught nothing.” Simon didn’t want to scoff outright. Was he amused that the Teacher suddenly considered Himself a fishing expert? 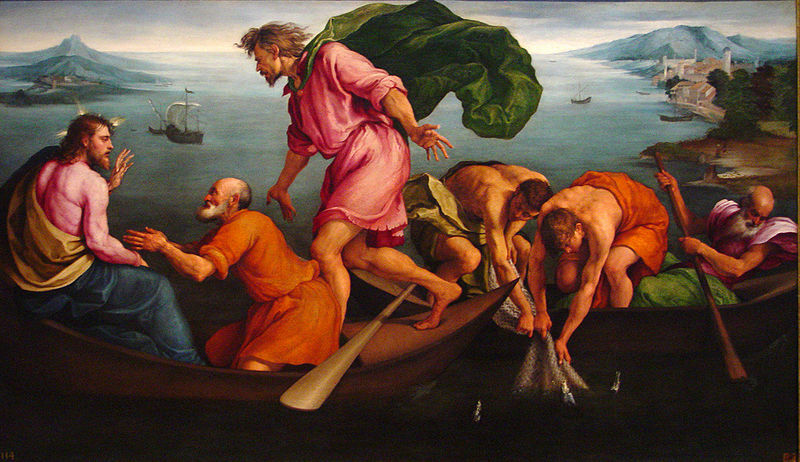 Perhaps Simon wanted to let Him down gently, preparing Him to see that seasoned fishermen knew their own waters better than He did: “…but at Your command I will lower the nets.” Out of respect for the Teacher, not from conviction, Simon was willing to obey Jesus’ command. We see in this psalm a great desire to worship God. Why? The psalmist tells us that when he called out to God, “[He] answered me and built up strength within me.” The psalmist is very aware of how God has worked in him to make him a fit witness to His glory and majesty. He knows that, because of this kindness from God, he can proclaim: “In the sight of the angels, I will sing Your praises, Lord.” Again we see that it is God Who makes a man ready to be His servant. The psalmist is quite confident of this: “The Lord will complete what He has done for me.” God’s goodness makes the unfit fit.